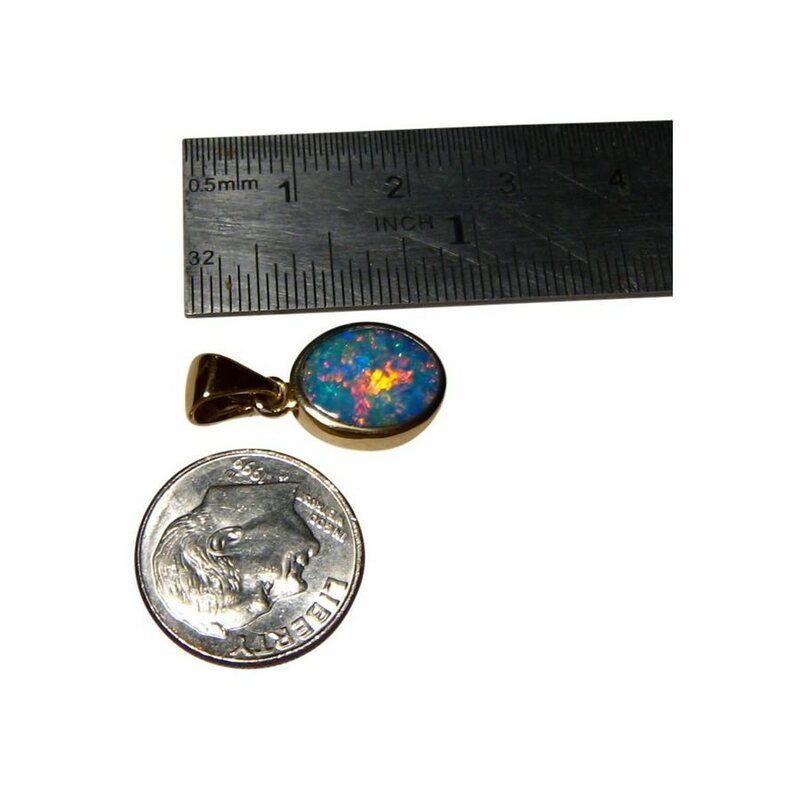 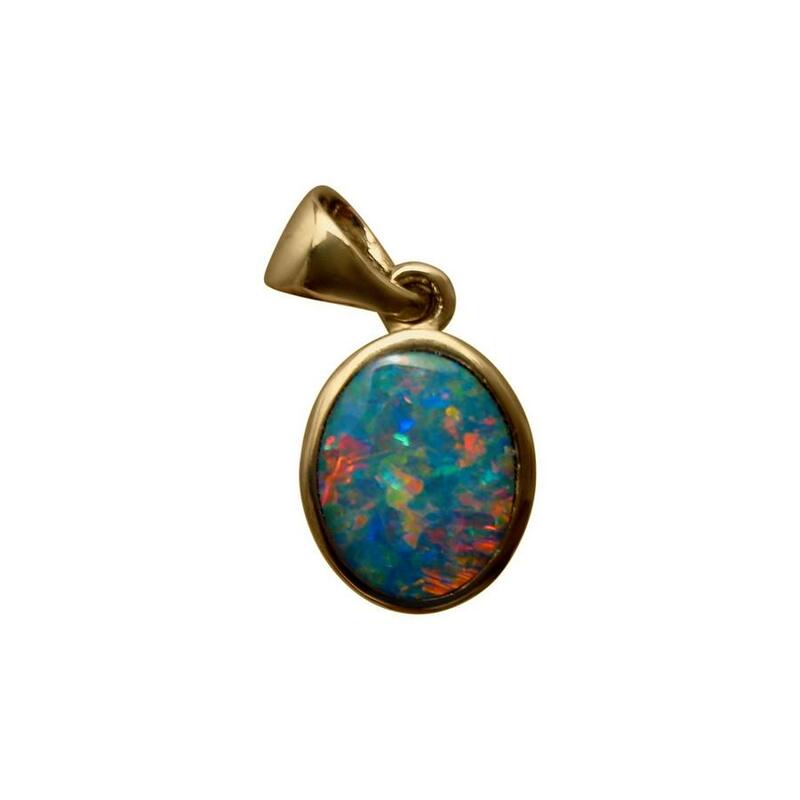 A quality Opal pendant in 14k Yellow Gold with an oval Red and Blue lively Opal. 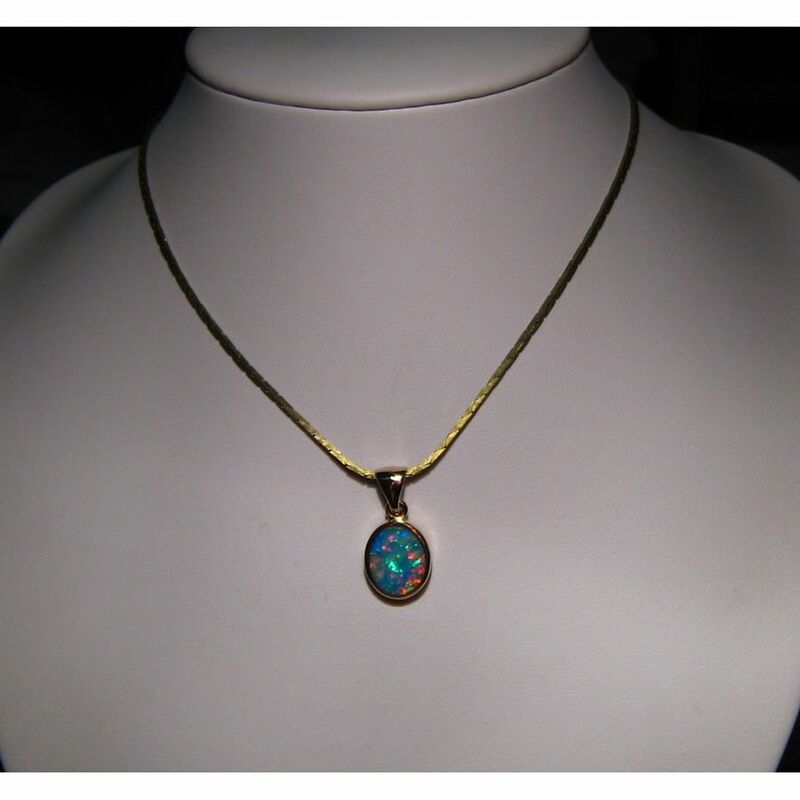 A classic style Opal pendant in 14k Yellow Gold with one very bright Red and Blue Gem Opal from Lightning Ridge weighing just over 2 carats inlaid in the oval pendant. 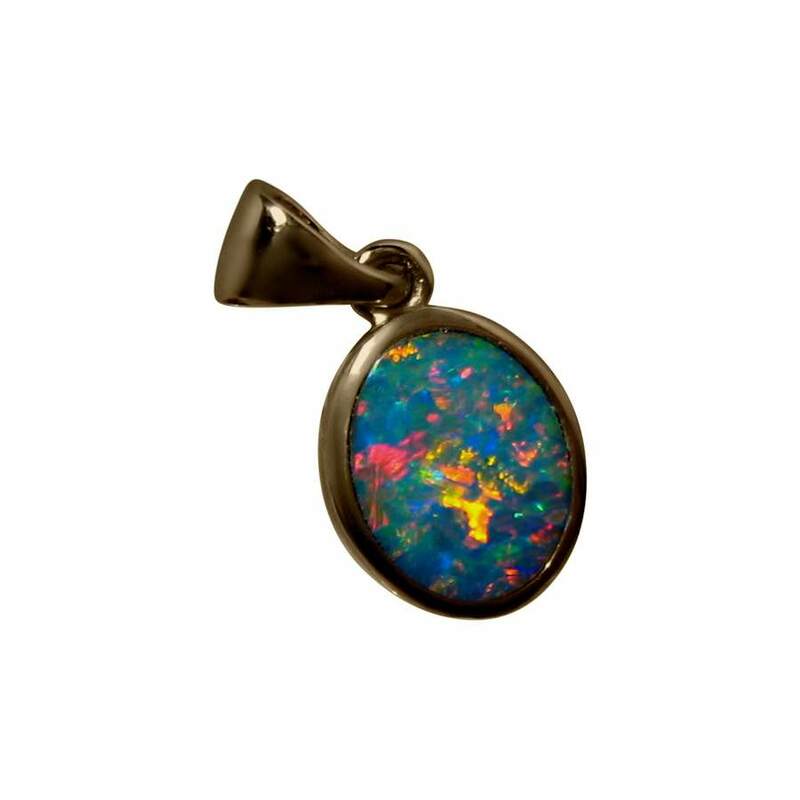 The colors are extremely bright in a lively pattern which is best viewed in the video below which will also show the high shine of 14k Gold. 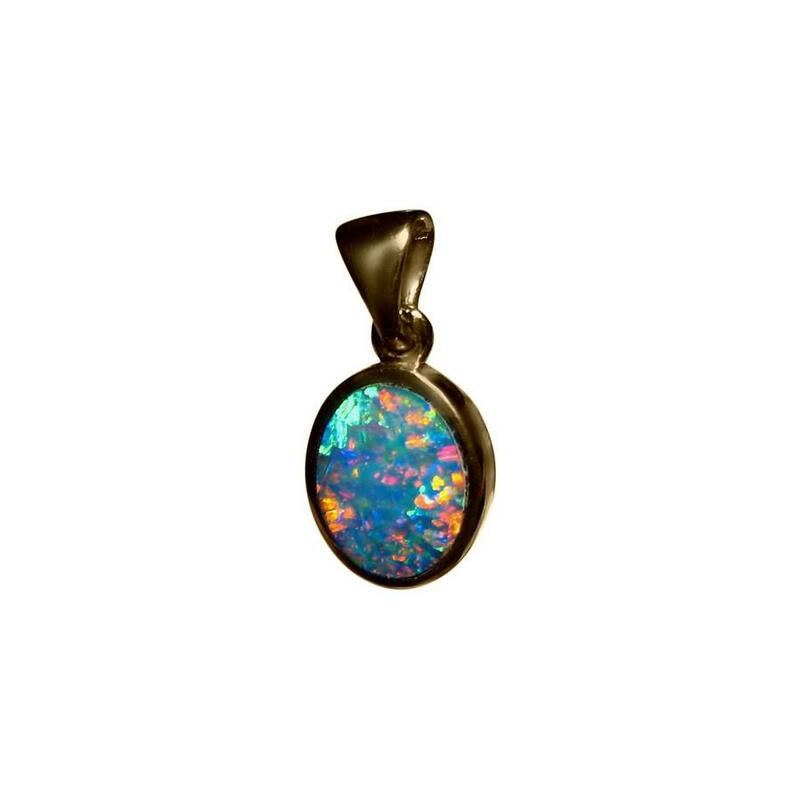 This beautiful Opal pendant is ready to ship now but does not include the chain.